Our little Sidney lost her first tooth last week. She has another about to fall out. Chloe has 3-4 that are getting loose. Sounds crazy but it nearly made Julie and me cry when that tooth came out. How can it be already that ADULT teeth will soon appear!?? Sidney proudly put it in her tooth fairy box and later that night it departed the earth in place of a $1 bill. Life is so good, but PLEASE slow down would ya??! 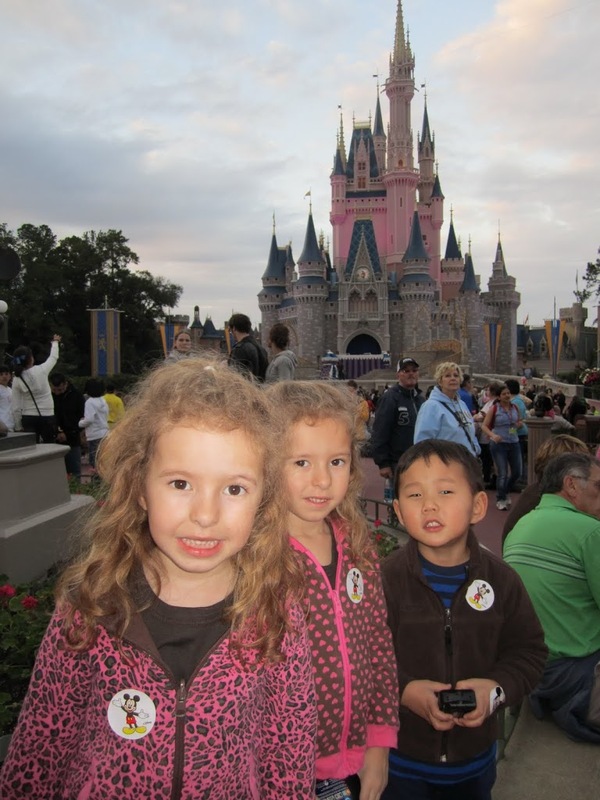 If you are one of the lucky parents blessed to take your family do Disney World in the future…below are some quick thoughts on what we learned regarding going with young kids. – Prepare yourself to walk more than you can imagine carrying your kids alot of the time! Buy GOOD tennis shoes…I bought cheap ones and paid for it! – Use strollers with small kids! You will NOT regret the $20 a day you might spend! – Buy PARK HOPPER tickets! This is a must! – Animal Kingdom is basically a zoo so spend your time at the others and maybe half day at AK. Bugs Life show is fun and try to have some adult fun on the amazing roller coaster “Expidition”. It’s fun! – Disney parades, light show and fireworks at Magic Kingdom are a MUST! DO NOT MISS this! – Find a way to ride Mt. Everest Expedition at Animal Kinkdom without the kids! Amazing roller coaster – same with Tower of Terror at Hollywood Studios. – Use Fast Passes for the long line rides for sure. – Do a character meal for sure! We did Chef Mickey one morning at Contemporary Resort and kids freaked. You have to call ahead of time and get reservation! – Eat breakfast and dinners OFF SITE. – IceCream shop right in front of the Castle is A MUST! Julie and I both were blessed to have parents that shared the magic of Disney World with us as children and since we started our own family in 2005 it has been our dream to continue that tradition. In January that dream came true as we flew to Orlando with her parents for a week of fun at Disney World. For years our 5 year old twin girls and 3 year old boy have enjoyed the music and sounds of Mickey and his gang, including Donald, Minnie, Goofy, Pluto, Chip and Dale, the Muppets, Handy Manny, and all of his movie star friends – I think we have seen everything from the Aristocats to Toy Story 3. Knowing they all “live” at Disney World, our kiddos freaked when they learned for Christmas we were headed to go see them. The countdown began and we all couldn’t wait. We were not disappointed. Between the incredible weather, the amazing rides, the fun interactions with the characters, the nice people that work there and great shows, the week was just a total blast. Though we were all so tired we could barely function once we got home, every minute spent together as a family is a minute no one can ever take away. Giving our kids experiences and memories that last a lifetime is one of our biggest passions. Our parents did it for us and we long to do the same for ours. Both of us still recall vivid details of those times with our families in the Magic Kingdom decades ago. Add to it our honeymoon in 2003 and Disney World takes up some serious space in our memory banks. Seeing the smiles on our kids faces, watching them interact with their Disney heroes and giving them 5 solid days of absolute fun will just be hard to top. I guess it will take another trip back to Florida later in life, God willing. We started missing Mickey and his pals as soon as we left.